Richmond Thrifter: Lamp Base Turned Pedestal Table! A list of local Richmond faves! Grab my button! I would LOVE it! Lamp Base Turned Pedestal Table! I started with your standard brass lamp base that you can find at any Goodwill store and an old frame. Both happened to have the "color of the week" price tag so they were 50% off their already ridiculously low prices. **** I'm going to try and re-create another table lamp soon and give better pics as the whole "ceiling fan canopy" seems to be confusing people! Hope to find some time to do this soon! Sorry I don't have better pics! then placed a washer on top of that and then finally tightened the nut back in place to keep the lamp secure. I certainly wouldn't let my 2 year old sit on it but I think it's pretty darn cute! And look what I just found at Anthropologie! A very similar one with a very steep price tag! Looks a lot like mine, don't you think!!! It even has fabric on the tabletop! THAT is so adorable!! love, love, love it! Such a great idea! Thanks for sharing. I discovered your blog while I was looking for re-purposing inspiration. I've added a couple of images from your post to my Pinterest board at http://pinterest.com/rachelbreier/curious-things/. I'm in shock. That's amazing! Well done. I will definitely by trying this, and I might feature this project on my blog this week! Thanks for sharing! This is a fabulous idea, the color is awesome too! Hi! (I'm visiting from Kev & Layla's today). I love this project! I swear I have the same old lamp! I wanted to do something with it,but wow! I would've never thought of this! Great idea! That is such an awesome project! I love the color and the table top pattern! What a fab knock off idea! Love it! That is so cute! I've got everything I need to make one of my own. YES! I am following the Young House Love retweet here. We're going to be moving from a 3 bedroom house in the boonies to a 1 bedroom apartment in the city a few months. Since we will no longer have a guest bedroom, we have to get a sleeper sofa, and for the price and functionality, my fiance and I both really like the Månstad from Ikea. But oh boy is that thing chunky and boring looking! I've been trying to think of cheap ways to balance and brighten the living room with that blob in the middle of it. I think a pair of these in some fabulously bright color (your turquoise choice is certainly in the top three, though I'm always a sucker for the right bright pink) would get that task off to a brilliant start. Or maybe a full-sized coffee table made with a large reinforced picture frame and four different lamp bases? You'd have to engineer that one a bit since they'd be different heights but it could be amazing. This is so clever and I LOVE the color. THANKS EVERYONE :) Paige! I love your idea about the coffee table! I think the two side tables in pink would be fab too to liven up "the blob!" Im currently waiting for some pink fabric for a china cabinet redo right now...and pink is the patone color of the year... so you are right on! Send us pics if you end up going for it! I looooove Honeysuckle! I'm actually doing my wedding invitations based on the Pantone Spring 2011 palette (http://www.workingbrides.com/wp/wp-content/uploads/2010/10/pantone-spring-20111.jpg). Just looking at it makes me glad! cheers to that table lady! I would totally be joining you with a glass of red! 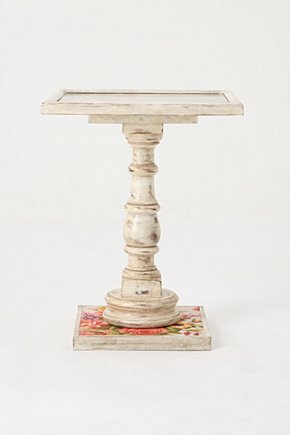 Very cute little table! Well done! Wow, I really like this idea! so clever and it looks great! and yes a glass of wine is the perfect accessory. I LOVE this idea! I am going to keep this in the back of my mind for a future project. I think it would look good in my guest house. Thank you for linking up to my party! Such a fabulous idea and I love the color!!! I just found your blog and am your newest follower. Thanks for the fab projects and inspiration. I will definitely be stopping by often! Ahhhh! This is awesome! I just found you and haven't seen any of your other posts yet, but I'm rushing up to click the "follow" button....Thanks for this great idea!!! Thanks so much for linking this up to my party...it so cute and you did a great job! (and super cheap too!) :) I love it when old things can be remade into something useful, and in this case, super cute! Brilliant! I love this! What a great job! I love it so much and the color you picked is awesome! Love it! Oh, wow! I love this. What color is that? It's so vibrant!I just found your blog and will be coming back often. Thank you everyone! Amy, the color is Krylon Bahama Sea. I think I got it at Walmart. So glad you like it! Wow, it looks great! And it does look so much like the Anthro version. Great job! Gosh this is beautiful. I love the blue. Totally impressed! I love this! This is so amazing! I'm so glad you shared this because I would of never of thought to do that! How fun!!! I cant wait to go hit up the thrift stores now! I need to visit my local thrift stores more often. I am totally missing out. I love this idea and how pretty yours came out. 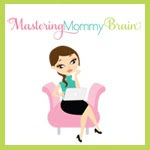 Just popped in from tatertots and jello's linkup--this is WAY cool! I love how it turned out! So clever of you to think to put those two together to make a table . . . that never would have crossed my mind! Awesome work! 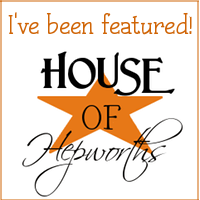 Wanted to stop in again and let you know I Featured this post today. You did a wonderful job with your new table. :) Thanks for linking up! Stopping by from Tator Tots and Jello--oh my goodness, this is the best thing I've ever seen! Thanks for sharing! That table is seriously the coolest idea I have seen in ages! You are a genius. Time for a thrift store trawl. Love it! It's a perfect recreation! Thanks so much for linking up to We Can Do It Cheaper! 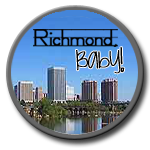 By the way, I was born and raised in Richmond! Love it! What a crazy awesome idea!!! I totally want to do this! Also, I'm hosting my first giveaway and would love for you to stop by and check it out. One of the prizes would look cool on your chair! I found your blog from Young House Love. I love your end table!! I found some clearance candle sticks that I'm going to try and make bed side tables with. Please send me a pic when you are done! Would love to see it! Oh thank you! This is so timely. I NEED a very small chair side table and this is a wonderful idea! Love it! Can't wait to see more! I am now your follower! It turned out so cute! I love the color. I'll be linking from DecorHacks.com! I love this! Great color selection too. I moved away from Richmond about a year ago and miss all of the great spots for thrifting. I can't believe I am just now finding your blog, it is great. I finished my bedside tables. Thanks again for the inspiration! You can see the finished tables on my blog. You inspired me! Here's mine! You also inspired me. I found a couple of items from around the house and came up with my own table. Thanks so much. I think this is it!! This is going to be the perfect nightside table for my oldest daughters big girl bedroom!! I can't wait to start my hunt! So I started making this bugger...and of course I happened to snag a lamp that has about 423 different pieces all held together by that rod/screw thingy, so now its a mess and I think I might have to find another lamp - SHUCKS. Fabulous Table Lamps! Nice work! Thanks for doing this blog. I love how lighting can change the entire appearance of a room! Amazing!!! It's beautiful,and I tried doing it myself! Is the top of your table real sturdy? If so, how did you get it to be so sturdy? Any info will help! Thanks! This is brilliant! I think I even have that lamp! Love this. I'm a new follower. I look forward to catching up. What is a "ceiling fan canopy"? Could you include a photo of this piece or tell us more about how to do the attachment between the frame and lamp? I would appreciated some help on how to attached the frame to the lamp as well. I'm not sure what a ceiling fang canopy is or where to even get one. If you could email me with some suggestions, that would be great! Your table looks awesome. I must say though that the Anthro table has the extra wood on the base and under the frame which would make it a lot more stable. I have been wanting to buy a table that I could do some jewellery projects on while watching T.V., and can see one in my future...when I get it done I will send a pic to you. 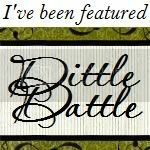 My blog is LauraBelle...frugal and over 50. Well, I must continue checking out all the great projects you have on your blog. love this! Great for re-purposing an item! Check out my blog which is all about re-purposing items called Reuse & Repurpose! www.reuserepurpose.blogspot.com. I also am following you! Please return the favor! I'm now following you and can't wait to see your other crafty ideas. I love this idea. But i am confused on how you attached the canopy to the frame? Floor Lamps Base Exporters- If you have the various antique pieces or the art crafts in the room and looking a way to highlight them, the floor Base lamps can offer a great solution to you. There are so many styles and patterns of the lamps and wall lights are available on the online store. This adorable piece is really informative Lamp Base Turned Pedestral Base is beautiful and entertaining infographic. Thank you for sharing. Your color scheme is awesome. As a designer of custom digitizing i can understand the effort behind this.